Nowadays, when the competition is continuously following the sky, going mobile is not just having a website, it means a whole new business approach that allows to reach and engage with your customers and users in a unique way, and offering them an interesting way to share and receive information. 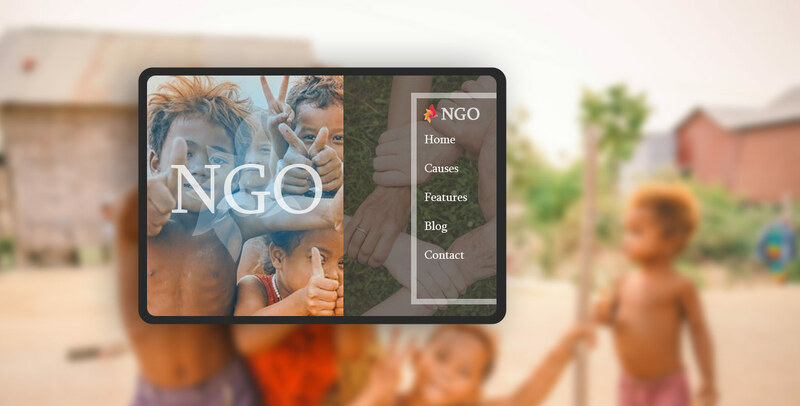 Likewise, development of NGO website development is equally important to make it reaches easily accomplishing. No denial, if you have a well-designed, user-friendly website - it’s an ideal solution for the growth of your business or product. It enables to engage new users, increase money flow, and make clear communicate. This is the reason, nowadays, most of the NGO is looking forward to solutions that can help them to get easily visible. Creating this site affordable, and finding the right tools to build can be challenging, however, there is much non-profit web design company having years of experience. Non-profit web design allows you can access your users or member at any time and at any place, hence, there is greater chance to make your communication open and transparent. This further lead to more traffic as you will be able to interact easily with the new users as well. One of the most crucial tasks can be achieved easily via online donation pages or portals, or donation apps. This will reduce the effort and make it easier for your people to donate. This will encourage more people to donate, who used to skip donation due to hassle and long payment process. As per @Pay.com, the Red Cross raised over $43 million for Haiti’s earthquake relief through a “text-to-give” campaign. Moreover, approx 50% of the text-to-give donors came to participate after learning about the campaign and approx 23% made it the same day. Mobile presence will help you to get more hits, making people aware of your campaign. And through the web, you have an easy platform to post volunteer opportunities and can also promote donation. People can sign up for alerts for volunteer opportunities and browse easily. At Root Info Solution, we aim to understand what are the requirements of nonprofits, as we know every nonprofit organization has its own preferences, goals, resources, and targets. Thus, we have learned and our non-profit website developer endeavors to give you the best way that helps a nonprofit organization. Our web app solution makes you overcome challenges, meet opportunities, and win competitive pressures. We build excellent mobile applications and web solutions for nonprofit organizations to meet their requirements with a simple solution.